From charcuterie displays to carving chicken, these are the best blocks and boards around. The cutting board is probably the most used piece of equipment in your kitchen, but which one should you buy? Plastic or wood, round or rectangular, there is a wide world of cutting boards out there and they can be used for everything from daily cooking prep to entertaining. Where you’re looking for easy to clean or dishwasher safe versions, or a serious butcher block or beautiful wooden board, we’ve rounded up the best options. If you’re unsure about which board (or boards!) to purchase, check out our list of favorites below and how we put them to use. These lightweight, reversible cutting boards are what we use for most of our Test Kitchen tasks. The grips on the sides keep the board in place, while the large surface area gives us plenty of room for big chopping jobs. 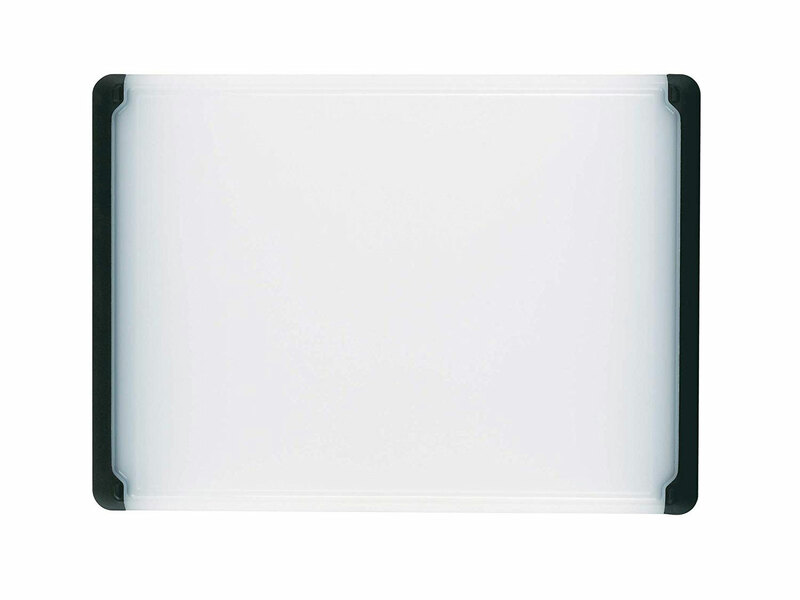 Plastic boards with juice grooves like this one are best for messy jobs like prepping raw meat and chicken because they are easy to sanitize. Try it out with our Herb Roasted Spatchcock Chicken. 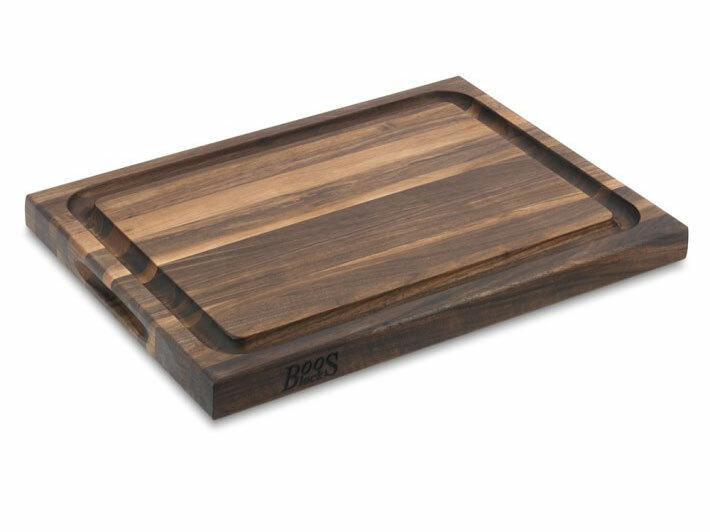 Boos blocks are thick, durable wooden cutting boards that will last you a lifetime if you take good care of them. We like this elegant walnut board because the dark color hides any food stains and it’s stylish enough to keep on your countertop. Plus, it’s reversible: one side has drainage for carving large roasts and the other is flat for everyday prep. Slice up our Stupid-Simple Roast Beef with Horseradish Cream on this gorgeous board and then bring it right to the table for serving. 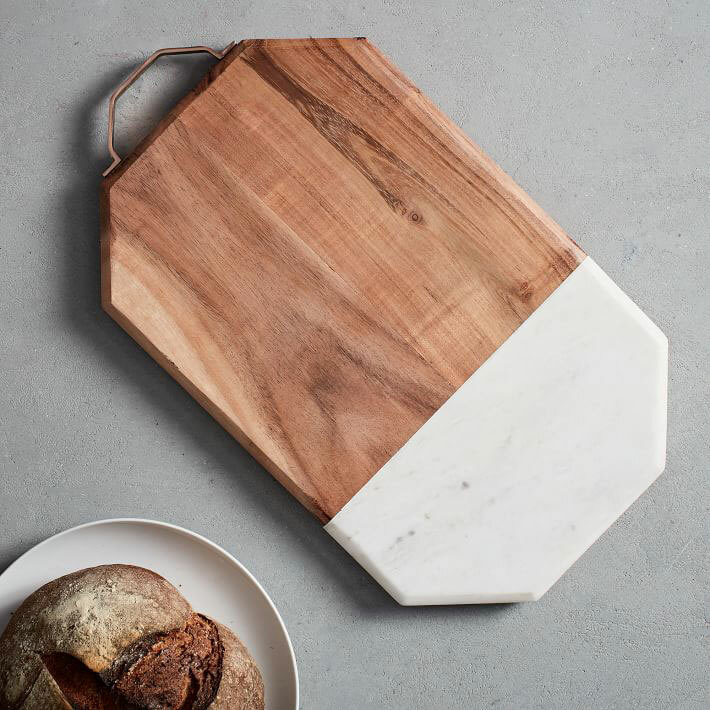 We love the contrasting marble and wood on this chic cutting board from West Elm. The marble will keep food cold, while the wood allows you to also use it for slicing. 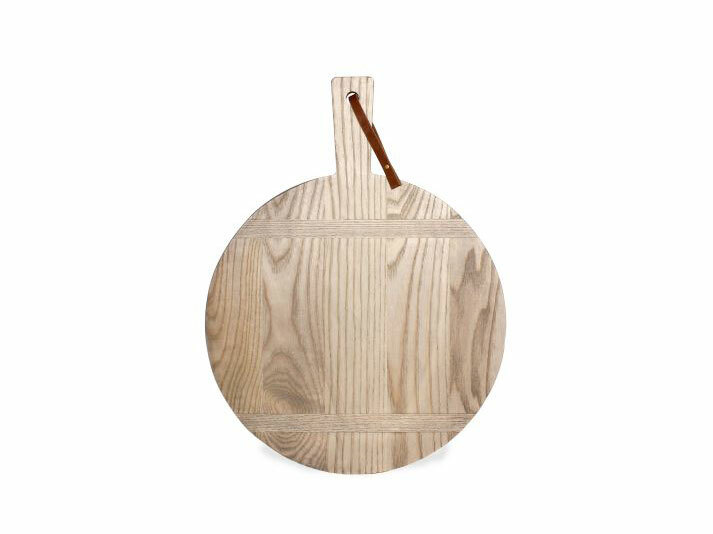 Pull out this board for serving cheese, flatbreads, individual desserts or appetizers. We can’t wait to use it to serve up these Deviled Eggs with Pickled Shrimp at our next party. 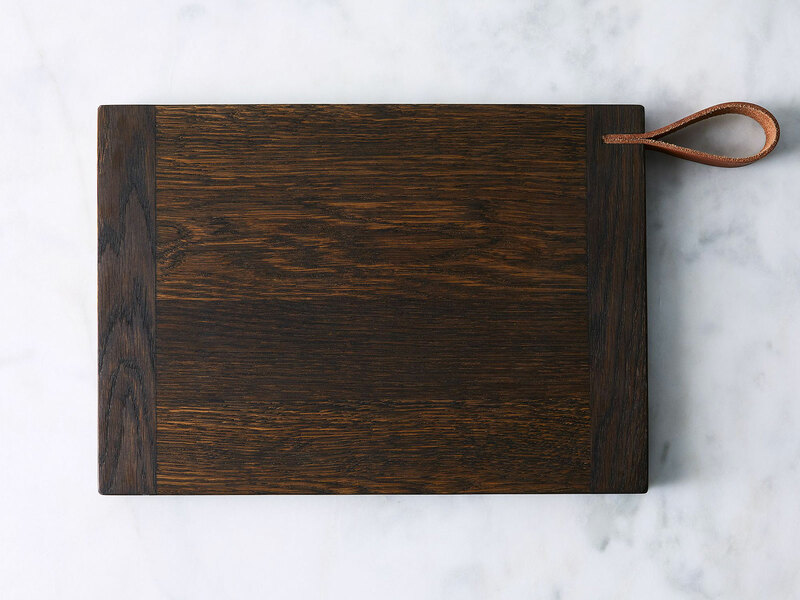 This matte black cutting board from Epicurean and Food52 is made of recycled wood and is a striking contrast to whatever food you want to serve on it. The long shape is ideal for a spread of crostini, like these Creamed Kale Toasts, but the lightweight, durable surface is also tough enough for chopping and slicing. When it comes time to wash it, you can even put it in larger dishwashers. 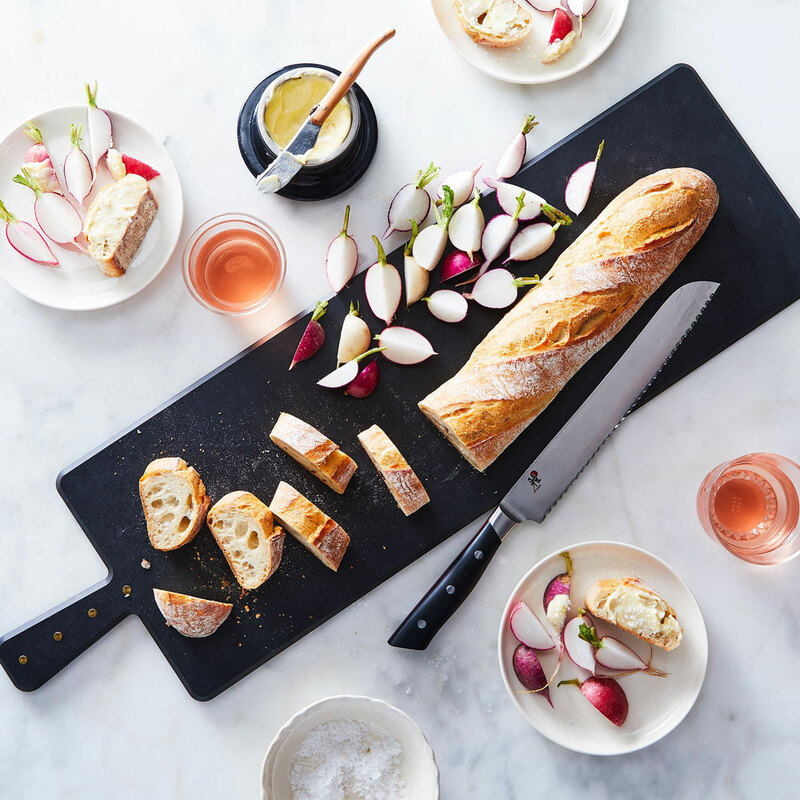 Bicyclette’s oak cutting board has enough space for all of your ingredient prep, but its sleek design and leather handle make it table-ready for your next dinner party. Use it for an epic charcuterie spread or as a rustic serving platter for a family-style main, such as this Grilled Hanger Steak with Kimchi Apple Slaw. To keep this board in its best shape, only hand wash it and do not let it sit in water for an extended period of time. Handcrafted in Dorset, Vermont, this classic board from J.K. Adams begs to be used for homemade pizza. Use it as a peel to slide the dough in and out of the oven, then bring the board right to the table for slicing and serving. Try it out tonight with our addictive Cacio e Pepe Pizza.